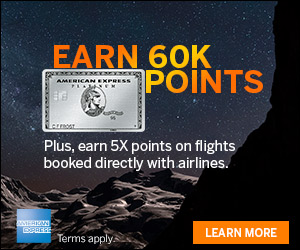 American Express Membership Rewards (MR) points can be a fantastic value when transferred to affiliated airlines and redeemed for award flights. Currently AMEX has 17 airline transfer partners across the 3 major alliances and several other smaller partnerships that provide access to flights on dozens of airlines. The first step is to make sure you have a frequent flier account with the airline you are transferring points to. If you don’t have an account, visit the airlines website and create one. Airline frequent flier accounts are free and only take a few minutes to create. After clicking, scroll down and select ‘View All’ to see the full list of partners you can transfer your AMEX MR points to. Click on the box of the airline program you wish to transfer to from the list. Membership Rewards points transfer to airline program at various exchange ratios and occasionally offers promotions. Currently, American Express has a 40% Transfer Bonus to British Airways through November 15, 2018. 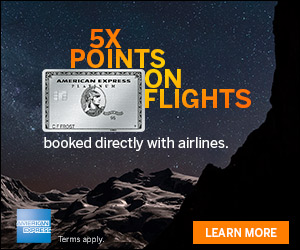 Most transfers of AMEX MR points happen immediately; however, a couple take longer. Make sure to plan accordingly as award space can quickly disappear. If this is the first time you are transferring to a program, you will need to complete some information. First, the name on the AMEX account must match the name of the airline loyalty program account you are transferring to. Additionally, you will need to have the security number on the front and back of the AMEX card for protection. Lastly, add the airline loyalty program account number. Verify the details and type in the number of Membership Rewards points you want to transfer to the airline; the amount is automatically set to increments of 1,000. Be aware that some loyalty programs incur an exercise tax for transferring which can be paid with your AMEX card or additional points. When you are done, click ‘Confirm and Transfer Points’. You will receive an email confirmation of the transfer and depending on the airline, the points will arrive almost instantly or up to a few days. 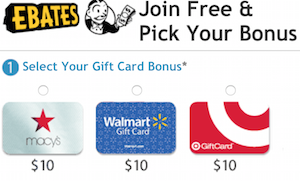 American Express Membership Rewards are great because of their flexibility. Thanks to an incredibly large network of airline transfer partners, you should be able to book a flight on almost any non-low cost airline because of alliances and partnerships. If you’re looking to transfer Chase Ultimate Rewards see, Transferring Chase Ultimate Rewards to Airline Partners and Transferring Chase Ultimate Rewards to Hotel Partners. This is a great post. I love the American Express membership rewards just because it is SOO flexible! I’m going to have to look into the airlines you listed and see if I can score a great deal for our next big trip!